Independent professional indemnity insurance (PII) broker and risk management adviser Prime Professions has today announced that it has been appointed as the preferred broking partner to leading legal services network Connect2Law. The arrangement brings together the UK’s largest network of law firms and a recognised expert in professional indemnity insurance and risk management for the legal sector. Prime Professions will be recommended as a primary adviser on professional indemnity insurance and risk management to Connect2Law member firms. A unit dedicated to Connect2Law members has been formed as part of Prime’s Legal Services division and will offer members access to Prime Professions’ long-standing expertise and experience in helping legal practices manage their risk and insurance requirements. Formed in 2001, Connect2Law now operates across the UK with a total of 17 hub law firms who support the network membership of over 2,600 law firms across England, Wales, Scotland and Northern Ireland. 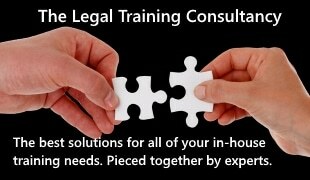 Operated by law firms for law firms, Connect2Law gives legal practices across the country the opportunity to operate as a full service firm by referring on clients who they cannot service in a particular area of law to other network members with the benefit of a non-poaching agreement. The network also provides a number of other benefits to members, from training to access to a marketing toolkit. Under the leadership of new CEO, David Jabbari, Connect2Law is also developing a consumer legal services brand in parallel with its referral network.